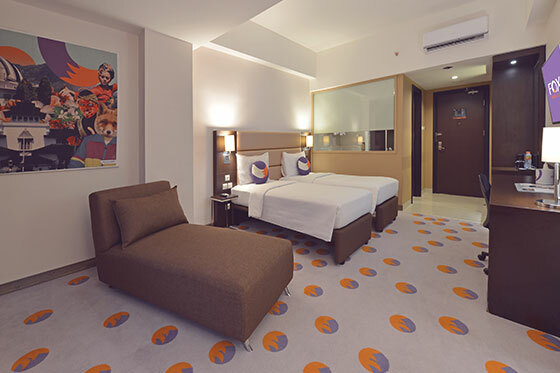 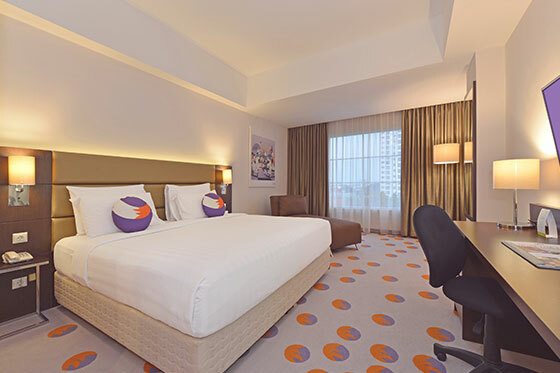 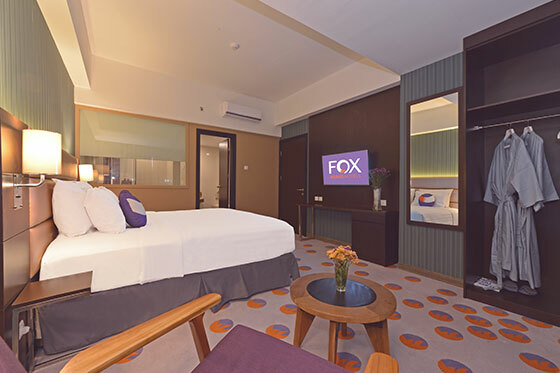 Book your stay at FOX HARRIS Hotel City Center Bandung with a choice of Superior Room, Deluxe Room, or Suite. 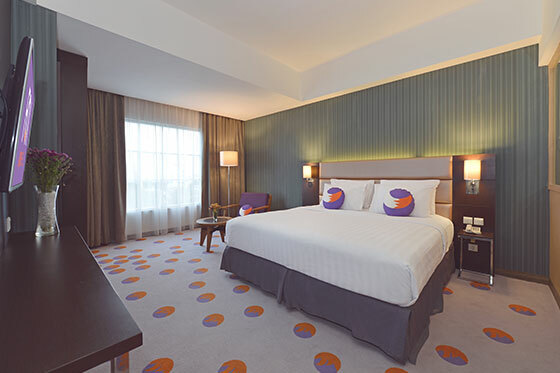 Each of our hotel rooms includes a full hotel amenities set, cable TV, and free high speed WiFi. 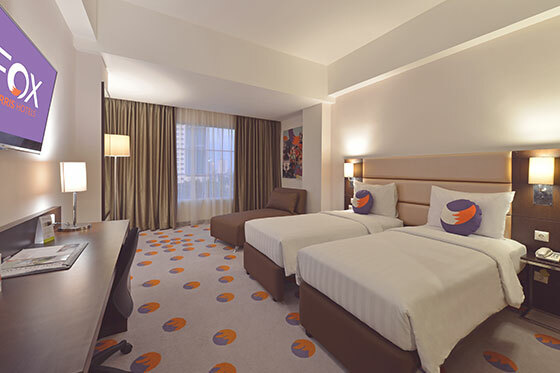 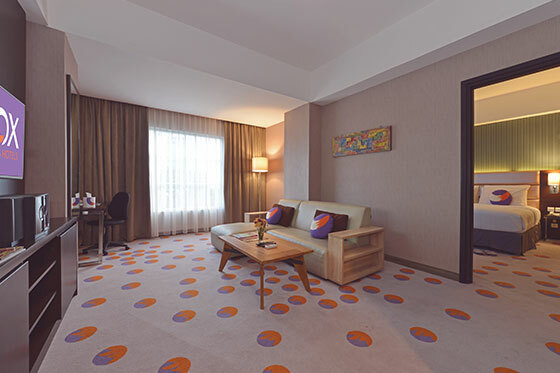 The expansive FOX Harris Suite is an ideal choice for supreme comfort and style during your trip to Bandung. 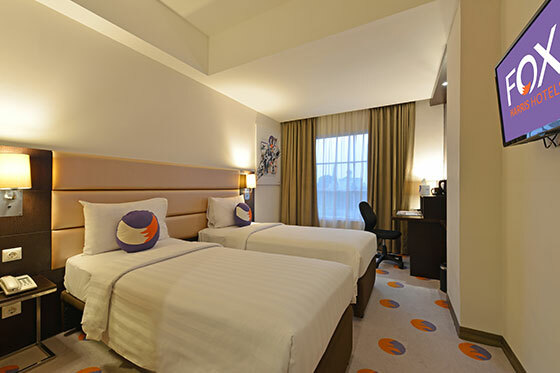 With a large room area of 64 sqm, this Bandung suite is equipped with spacious bathroom and comfortable living room.